India Home started with a dream in 2007. 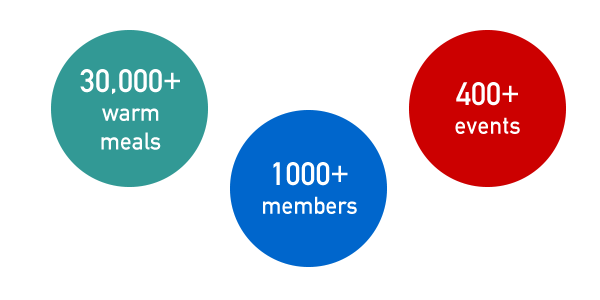 Today our services have brought happiness into the lives of hundreds of South Asian seniors. 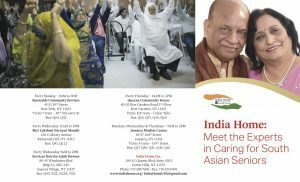 With a mandate to “serve all” South Asian seniors, regardless of income, faith or country of origin, India Home is helping immigrant South Asian elders deal with one of the toughest problems of growing old in America – social isolation and loneliness. Since 2008, we have been committed to improving the quality of life for immigrant South Asian seniors by providing them with an array of services in a warm, caring, culturally sensitive environment. We balance addressing the day to day needs of our community with advocacy at the city and state level, so that our seniors have a say in the issues that directly impact their lives. We advocate to keep issues particular to immigrant South Asian elders like increased access to transportation services and better language access policies front and center. Many immigrant South Asian seniors have limited-English abilities. Our efforts, like ESL classes and translation services offered with our community partners, ensure that our seniors get access to the services they need. The mission of India Home is to improve the quality of life of vulnerable South Asian older adults through culturally appropriate social services.